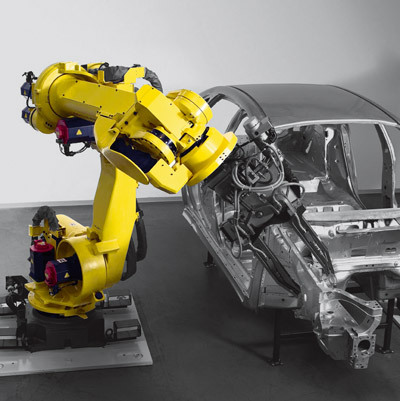 The R-2000 series is the most successful FANUC robot in the world. Featuring high performance capabilities and payload capacities ranging from 100 to 270 kg, it makes the perfect solution for multiple applications involving high payloads. 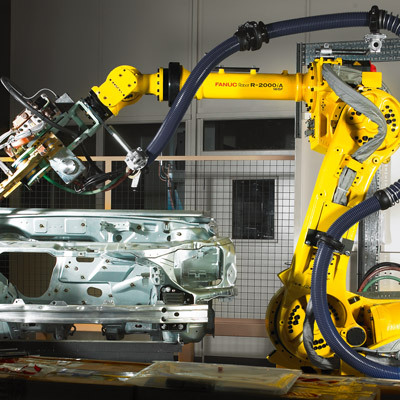 Compact and high speed with a slim wrist and arm, the R-2000 is an all-rounder that is designed for all material handling applications and spot welding. Size and weight reduction of the mechanical unit, a very compact construction, rigid yet light arms and state-of-the-art motion control technology make the R-2000 iC series a dignified successor of the R-2000 iB, sold more than 60,000 times worldwide. 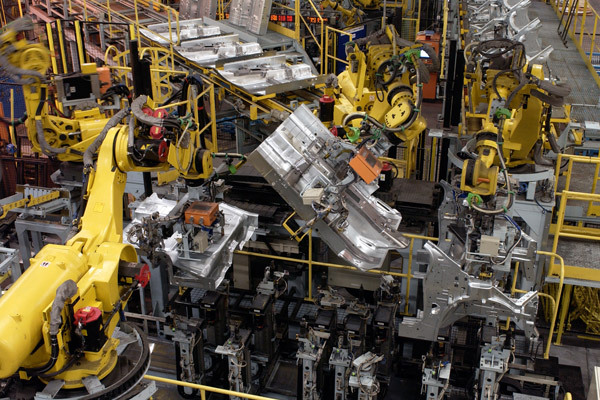 Extensive options are available for various processes, including the spot welding solution arm. Capable of handling almost any gripper or welding gun at speed, the R-2000 is ideally suited to an almost countless range of applications. Catering for all available spot welding options, the R-2000 is the proven choice for maximum performance and system uptimes. Benefiting from easy installation and space saving design. 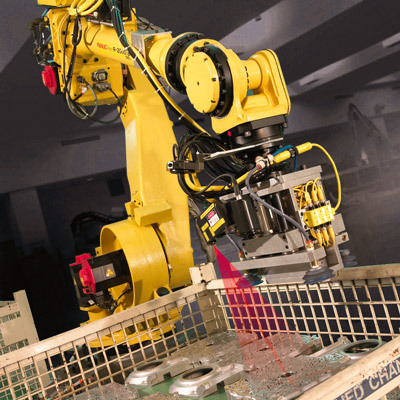 Our optional robot base, drive train and J1 and J2 axes protection kit provides optimal dust and water protection. Easy to fit upgrade kits are available for a range of options including gripping and vision systems. Integrated air and electrical services consisting of 8 inputs and 8 outputs plus PROFIBUS as standard. 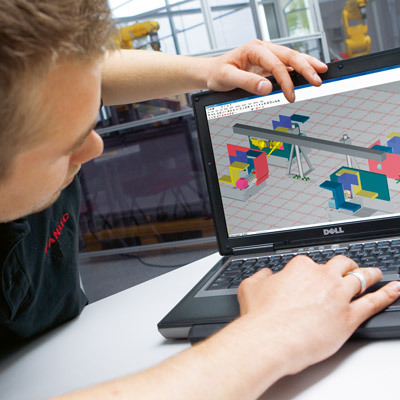 By simulating your production scenario, Roboguide shows you exactly what the R-2000 can do for you and where the savings lie.